Dancing the Argentine tango or salsa will make you feel alive and fit. These dances, especially the tango, are not for the faint of heart and are exciting and passionate. At Danza Pasion in Perth, we can give you Latin dancing lessons you will never forget. We work out of three locations every week and specialise in ballroom and Street Latin styles. That means you’ll work with instructors who have many years of experience and can teach you your preferred Latin dance, whether you have any experience or not. With one instructor per four to six students, you will get personalised attention during your Latin dance classes. If your main goal is to exercise and become fit, perhaps you will want to try Zumba and Latin funk. Zumba classes are Latin dancing to its extreme. With a mix of Latin and international styles, Zumba is designed to keep you trim and help you lose weight in a fun, aerobic way. Zumba is so popular now that Danza Pasion offers classes three days a week in the Perth area! Zumba isn’t the only style of Latin dancing that helps you lose weight. Learning salsa, Argentine tango, cha cha cha and mambo requires a high level of activity that will inevitably help you lose weight and become conditioned like a dancer. Our Latin dancing classes are fun and easy to learn, so even if you are a beginner with no experience, you will find a place in Danza Pasion. 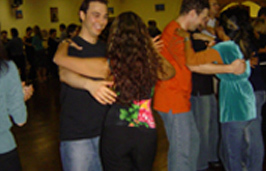 We also offer advanced classes in some Latin dances, such as the Argentine tango, so you can refine your technique and become an even better dancer. Our Latin dance lessons will keep you trim and will help you learn an activity that you will always love. Our instructors know how to bring out the best in everyone interested in dancing in the Perth area. That’s why we are one of the biggest dance studios in WA and have grown so much in the last ten-plus years. Taking Latin dance classes will boost your self-confidence, help make you new friends and keep you looking good. Why not try a session with Danza Pasion? Our instructors at Danza Pasion are experts at teaching Latin dancing classes in a fun and friendly environment. Don’t worry about being competitive in this class. It’s not about who the best dancer is, but about enjoying yourself and reaching your goals. Our instructors have been teaching beginning dancers for years and know how to help you develop your own unique style and flair for Latin dancing. With Latin dancing lessons at Danza Pasion, you will soon be able to mambo better than you thought possible. Don’t stay inside on a night when you wish you could be out experiencing something new in Perth. Enjoying Latin dancing and participating in a class will only benefit you and your fitness, mood and social life. 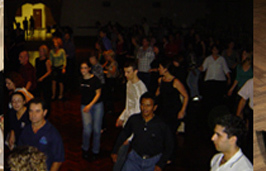 You don’t need a partner to take Latin dancing classes and dance lessons in Perth.